Rare 1889 Steinway Model A Grand Piano; sounds amazing!! This lovely antique Steinway Grand Piano Model A has been in our family since 1932. 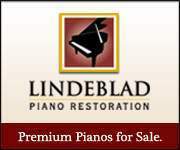 The piano is in very good condition, has great action and a rich, full tone! Beautiful Victorian Art Case, polished Rosewood finish, original Fireplug style legs, carved filigree music desk and ivory keys. The piano was recently refurbished with rebuilt hammer assembly & shanks, rebuilt action, re-tuning and voicing. The case was refinished 23 years ago when the strings were replaced. 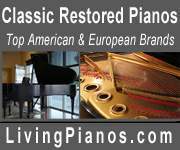 Very few Victorian Steinway model A pianos have survived the decades with their original decorative details. This piano truly is a rare gem, to look at and to play! Steinway A is the first of the smaller Steinway concert pianos. This model was fairly historic in terms of innovation and introduced the bent rim case construction which allowed for a better transfer of soundboard vibrations and a much sturdier cabinet. This manufacturing technique is still in use today. It was called a Parlor Grand piano because the 6'1" piano fit in the parlor and at the same time had the robust sound and action for a mid-size concert hall. It was valued for its rich tones, agile action and versatile size. A professional appraisal from Tom Budjanec – well known to a number of high-profile classical & jazz pianists – will be furnished upon request. Tom did the latest work on the piano and appraised it for today's market at $35,000. We are asking $30,000. All reasonable offers will be considered.